What’s Up with all the construction next door to the School of Nursing?? 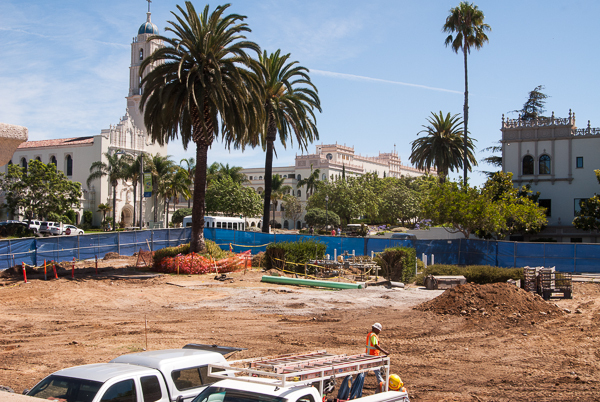 WOW, if you haven’t been on campus lately you will be in for a real surprise when you finally step foot on campus and see what’s happening with the building of the Beyster Institute. Groundbreaking occurred on May 12, 2014, which, not by coincidence, was the birthday of Florence Nightingale- the founder of modern nursing. The Betty and Bob Beyster Institute for Nursing Research, Advanced Practice, and Simulation will be a 30,000-square-foot, three-story building connected to the current nursing school by a bridge and plaza. The architect for the building is Ed Holakiewicz of gkkworks in San Diego. DPR Construction is the builder for the Beyster Institute. 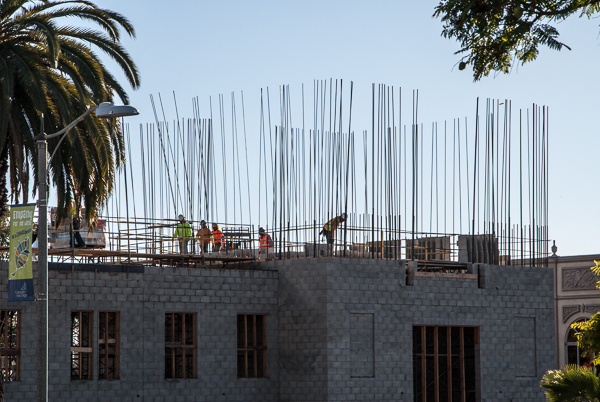 The building will be completed in just a few short weeks and ready for classes in the fall semester 2015. 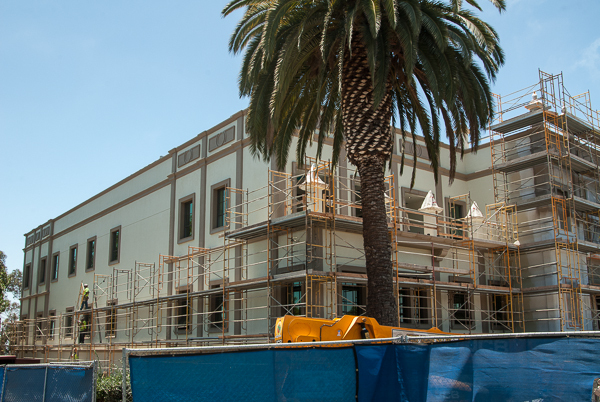 Our new building is truly designed to prepare the next generation of nurse scientists, educators, executives and advanced practitioners,” said Dr. Sally Brosz Hardin, Dean of USD’s nursing school. 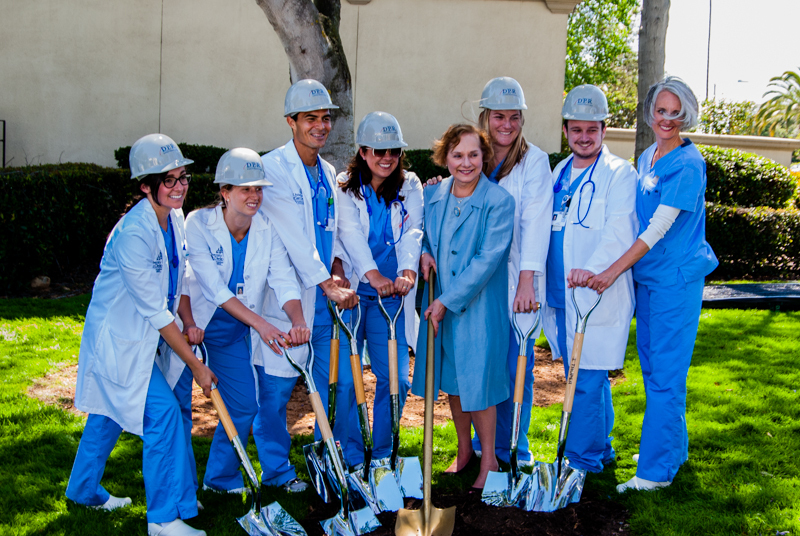 It will include the new and expanded Elizabeth Dickinson Smoyer Nursing Simulation Center, the keystone of the school’s clinical teaching facilities and a national model for nursing education. The center was financed by the San Diego-based Dickinson Foundation, which has been a committed supporter of the school for more than a decade. The Beyster Institute also includes the Krause Family PhD Research Library/Study given by Gale and James Krause. James Krause was a prominent San Diego attorney and member of the USD Board of Trustees who passed away in 2012. The library will permit PhD Nursing students to enjoy direct access to online research databases for current and historic, domestic, foreign, and international nursing materials. Once you step foot in this inspiring space you may be compelled to continue your nursing education! The third-floor Research Center houses three research units that will focus on critical health care issues of perinatal women’s health; healthy aging, cognition, and end-of-life care; and military and veterans’ physical and mental health. There also will be an innovative Elder Adult Laboratory Apartment to assess and conduct research on the elderly’s functional status and activities of daily living, along with high-tech and executive classrooms. You will get a kick out of the attached photos documenting the construction of the building.